Did you ever make $10 million? Have you ever lost all $10 million? Could you point directly to the fingerprints of one president who caused you to lose it all? Well then I have one heck of a story for you! Former President Obama is so green with envy at Trump’s economic success, it’s funny to watch! I’ll tell you my personal story in a minute that explainseverything. Reagan produced the greatest economic expansion in history, but even he never produced a single year of higher GDP than unemployment. Compare that to Obama, who is the only president in the history of America to never produce a single year of 3% or higher GDP. Since George Washington that's never before happened. Here's a personal story. I was honored to be chosen recently to debate one-on-one against New York Times “Never Trumper” columnist Ross Douthat at the FreedomFest Conference in Las Vegas. We debated in front of several thousand attendees. And now that Trump is president, we're suddenly all smart again. Things are rolling for me again. The same goes for every small business owner I know. I guess it’s a coincidence we all suddenly remembered how to make money again? It’s not just “America First.” With President Trump, it’s entrepreneurs and small business first. Trump made us great again. And we're making America great again. What a change. 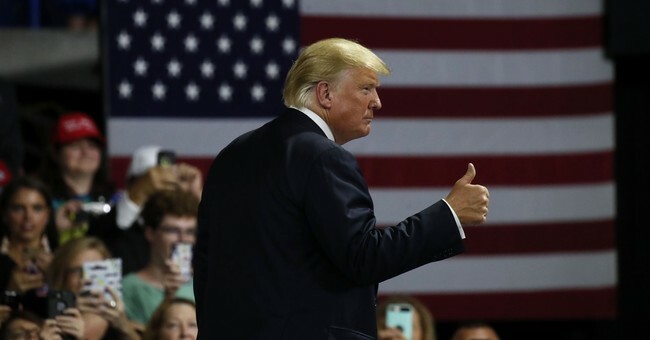 Even the New York Times and Washington Post praised the Trump economy this week. They both reported on the remarkable increase in blue collar jobs under Trump. Douthat listened to my opening speech. He walked to the podium and told the audience “I concede.” The audience roared. They all got it. I'm one of them. We’ve all lived Obama vs Trump. We know what’s happening. We never want to go back to Obama. Thank you, President Trump. We're all winners because of you.